If you are a pizza lover then you would know that there is something really amazing about wood-fired pizza ovens. The taste of the pizzas cooked in them is amazing and that smokey flavor really adds to everything. There is something really delicious and tempting about these pizzas and almost every one of us wish if we could make them at home, the only thing stopping us is that hefty price tag on wood-fired pizza ovens. The price tag and the effort that goes into burning the wood in the oven, tempering and all of that jazz just made me run away from trying to cook in those huge wood-fired pizza ovens. The Uuni 2S is way better than the typical heavy wood-fired pizza ovens mentioned above. Uuni 2S is light in weight and can easily cook pizza in under 90 seconds. You do not need to temper the pizza oven as it uses wood pellets. Using wood pellets not only made the entire cooking process easier and faster but also helped in reduced smoke emission making them more eco-friendly. 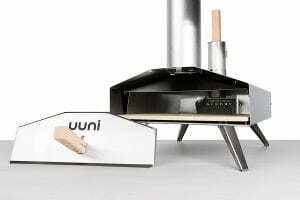 So, is the Uuni 2S pizza oven worth the money? Read the review to make an informed purchase decision! You need to set up the Uuni 2S pizza oven when it comes in the box and in order to do that you just have to follow the instructions and use the tool provided in the box and within a few minutes you are ready to get started. Setting up the oven is an easy process, you just have to be a little patient and do as instructed it will barely take you 10 minutes if you do everything right and there are no special tools needed to set up this pizza oven. The parts are really light in weight so it is very easy to set up the pizza oven. It is even portable and perfect for tailgating. Once you are done with the setup, you are ready to get started with cooking. There is no need for tempering in this pizza oven which is usually the case in traditional wood-fired pizza ovens. 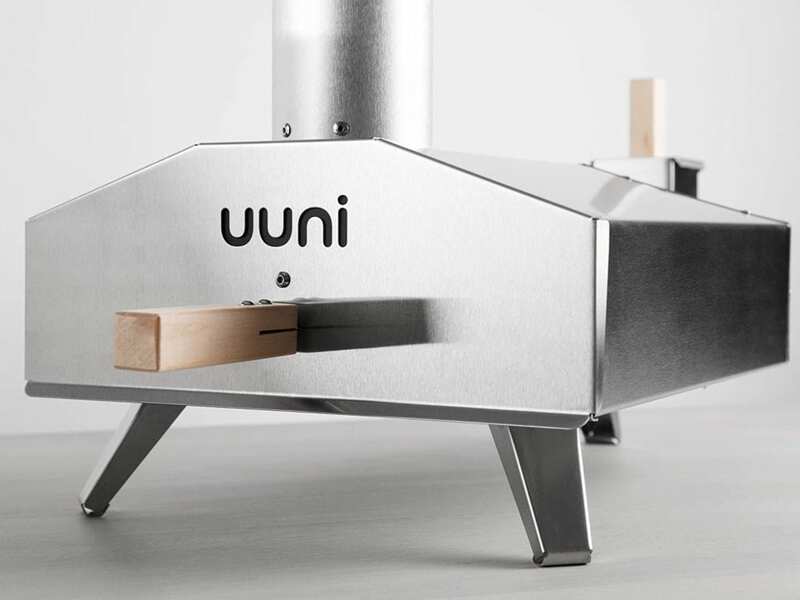 Cooking with the Uuni 2S pizza oven is easy as all you have to do is fill the hopper with wood pellets and put some lighter fluid and get the fire started with a lighter. The wood pellets burn easily and help you reach the desired temperature in the wood-fired pizza oven. However, you might have to keep adding pellets in the case you are cooking a pizza for a group of people as the pellets burn out fast and in order to maintain the temperature of the pizza oven you might want to keep adding pellets at regular intervals. The insides of the pizza oven have double insulation which helps maintain the temperature inside the pizza oven. The pizza oven does lack a thermometer so maintaining the temperature can be a little tricky. 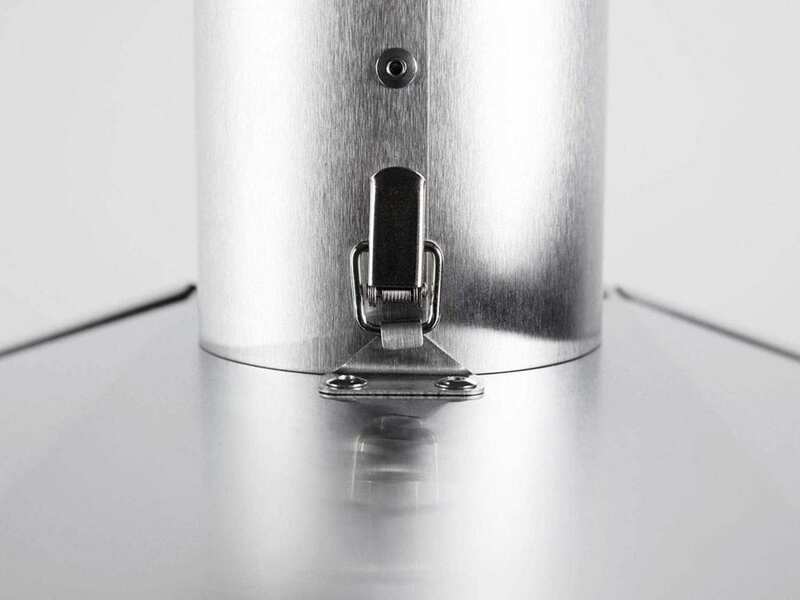 The oven is not going to give the aluminiam shine all the time but after the first use itself, you will have some part of it covered in soot which is bound to happen especially the area near the hopper where you are going to burn the pellets. The chimney of the pizza oven s designed very carefully such that all the fumes are out of the oven and there is a consistent temperature maintained throughout the pizza oven. Cooking the pizzas in the oven was pretty simple as all we had to do was insert the pizza in the oven and wait for around 30 seconds before giving it a turn. Yes, you might want to turn around the pizza oven, else it can get easily burned on the side which is closer to the hopper. Overall, the pizza was cooked in around 90 seconds which is pretty fast. The pizza was crisp at the bottom and gooey and soft melted cheese on the top with perfectly cooked toppings. The pizzas taste amazing as well and once you try out the pizzas in this oven, you are just going to get addicted. 1. Pizzas are cooked really quick within 90 seconds. 2. The pizza oven is really light in weight and you can easily cook multiple pizzas within a few minutes inside this pizza oven. 3. It reaches the ideal cooking temperature pretty quick. 4. It is light in weight and hence really portable. You can easily take it with you for trips and camping. 5. The setup and usage of the oven is really easy. Even the maintenance is quite easy making the oven an easy to use and manage a device. 1. The pizza oven can cook only one pizza at a time. 2. The wood pellets burn out really fast so you might want to keep an eye on them and refueling the hopper in order to maintain a constant temperature inside the pizza oven. 3. The lack of thermometer makes it a little difficult to know the temperature inside the pizza oven. Overall the Uuni 2S is a good pizza oven for the investment as it is not as bulky as any of the traditional pizza ovens and does heat up real quick in order to make pizzas. Using the pizza oven is much easier than using any other traditional wood-fired pizza oven. They are portable as well so you can take them with you on camping or tailgating without any issues. They cook delicious pizzas really quick, to be precise under 90 seconds and honestly, this is the fastest we have seen any pizza oven cook(Unless you are comparing it with the Uuni 3 or the Uuni Pro pizza oven). The pizza oven gives you the nice wood-fired pizza oven flavor at a very affordable price range so do check it out and let us know what you think about it in the comments below! Do you have any experiences with this pizza oven? Do share it with us as it would help our readers! Liked the post? Then share it on social media! Uuni Pro or Uuni 3- Which one is better? Uuni Pro and Uuni 3 Pizza ovens have been the best pizza oven creations so far and these are the best pizza ovens you can get for yourself if you are a pizza lover. Both the Pizza ovens have been designed specifically to cook pizzas faster and in an energy efficient way. There are obvious differences between the two when it comes to the features and overall price but when you look at them individually you understand that you are getting what you pay for. 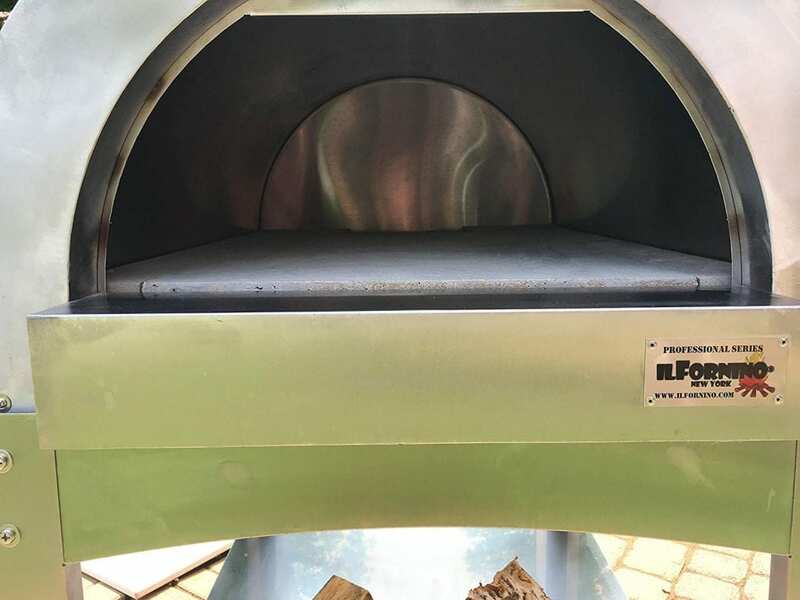 The Uuni Pro certainly has more advanced features than the Uuni 3 and if you are wondering which one best suits your backyard then keep reading this comparison post where we would compare each and every feature on both the pizza ovens so that you can make a better buying decision. Both the pizza ovens are designed extremely well and if you are looking for a pizza oven that would cook your Pizza superfast then Uuni is the pizza oven you should consider to investing in Uuni. The Uuni 3 has a metallic finish, even though it won’t remain that way for long as once you burn the wood pellets inside the oven, it might get a little black in a few areas. The whole Pizza Oven is insulated from outside so that it has better heat retention that would enable cook pizzas better. The pizza oven door is insulated so that you can easily remove it and place it while the pizza is cooking inside. This oven has three legs on the bottom making it stand stable on any surface. Uuni 3 is a perfect outdoor countertop pizza oven. The Uuni Pro, on the other hand, is double the size of the Unni 3 and even weighs more than it. The oven has a much better design which includes a large cooking surface and a metallic outside surface that does not go black after cooking in it like the Unni 3. The door of the Uuni Pro Pizza Oven and is like a letterbox style which makes sliding pizzas inside and out really easy. The oven has multi-fuel functionality and comes with a charcoal and wood burner by default. 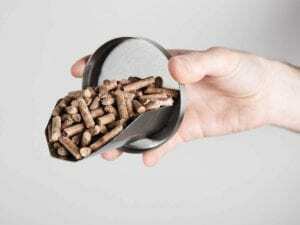 You can get the wood pellet attachment and even burn the wood pellets and soon you can even run the oven using gas as the fuel. 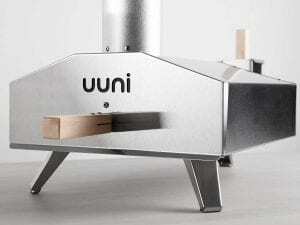 This is pretty interesting, as the Uuni 3 uses wood pellets to cook pizzas inside the oven. This is an energy efficient way to cook pizzas inside your oven. It gets heated up to the optimal temperature within 10 minutes which is pretty fast. 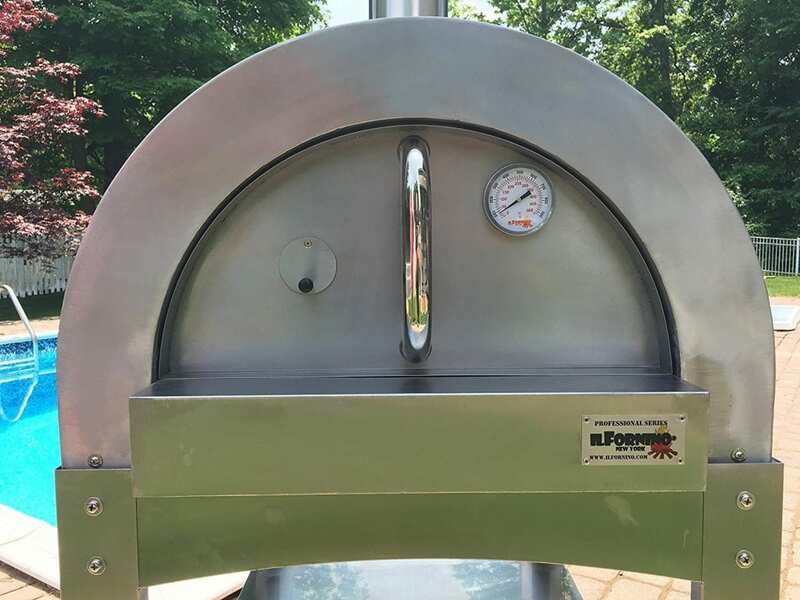 The pellet burner is attached towards the end of the Uuni 3 Pizza Oven and in the case, you are wondering you can easily buy these pellets off Amazon. So, the whole cooking inside the Uuni 3 is pretty simple and you can cook a pizza in just under 60 seconds. The Uuni Pro is advanced when it comes to the cooking fuel as you can burn charcoal or wood as the fuel. The pizza oven comes default with a charcoal and wood burner, you can add a pellet burner as an extension and in the future, you can even use a gas source to run this oven. The Uuni Pro has a larger cooking surface in comparison to the Uuni 3. It is almost double of it and you can cook many other recipes in the Uuni Pro in comparison to the Uuni 3. By choosing the fuel, you can choose the kind of flavor that you want your pizza to have which is a pretty cool feature in the Uuni Pro. The Uuni 3 can cook a pizza of maximum 12 inches and the opening of the oven is pretty narrow so you can cook a limited number of dishes inside. You need a pizza peel to turn around the pizza which is common for both the Unni 3 and the Uuni Pro. The Uuni Pro can cook a pizza of 16 inches which is pretty huge and you can easily cook two smaller sized pizza inside the oven. The oven is pretty large, almost double the size of Uuni 3 so you can easily cook meat, bread, and roast vegetables. The door on both the pizza ovens give it a nice closure which helps in heat retention and the outside surface is insulated which means that there is no heat transfer to the environment making the oven stay as hot as it possibly can. The Uuni 3 can be easily carried around and you can just put it in its bag and carry it to your friend’s place or even go on a trip. Basically, Uuni 3 weighs 12 kgs and it is really easy to manage as well as portable. The same is not the case with the Uuni Pro though, if you want to move it, you have to transport it in the back of your car. It is heavier and almost doubles the weight as that of the Uuni 3. There is no way you would want to carry this oven for a mile so it is better to transport it in a vehicle. You can take both of them on camping trips or even for a picnic as they can be transported and setup really easily. The time taken to reach the optimal temperature is not that much as well so you can just pull out the oven and get started with all the cooking. So both the Uuni 3 and the Uuni Pro are amazing pizza ovens with different features. The Uuni Pro is an upgrade to the Uuni 3 Pizza Oven so if you want a pizza oven that can do it all then I would definitely recommend the Uuni Pro. The Uuni 3 is good for someone who just wants a small pizza oven for their backyard so that they can multiple pizzas within no time. Both the pizza ovens are good, so everything comes down to the budget. The Uuni Pro is around $200 more than the Uuni 3 Pizza oven and if you are willing to spend on an upgrade then the Uuni Pro is actually worth it. 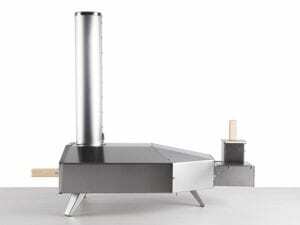 The Unni 3 Pizza Oven is good for someone who wants a small pizza oven and would rarely use it. 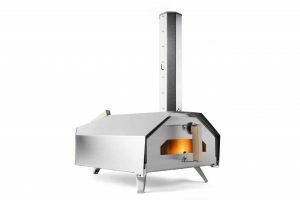 If you are going to use a pizza oven often you might want to go for the Uuni Pro as you can use any kind of fuel you want inside this pizza oven and cook some amazing delicious pizzas. The Uuni Pro can even bake bread and roast meat without any issues, so if you are looking for an all-rounder then you can save up and just go for the Unni Pro Pizza Oven. However, if you are just interested in making pizzas then the Uuni 3 would work fine as well. Check out both the pizza ovens and let us know what you think in the comments down below! In the case you have any experience with these two ovens then share them with us as it would help our readers! IilFornino Professional Series Wood Fired Pizza Oven is an upgrade after the reviews on the previous pizza oven model by ilFornino. 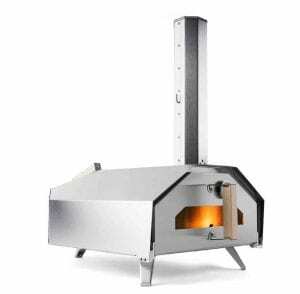 This company is known for making one of the best quality pizza ovens, so if you are looking for an amazing pizza oven then do read the entire review. 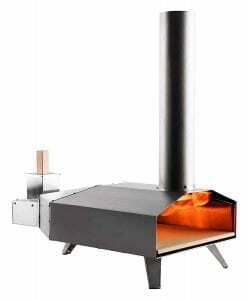 Being made by one of the best companies, this oven by ilFornino is wood fueled and is an outdoor pizza oven. The pizza oven helps you make the perfect crispy crust pizza along with the chewy toppings and gooey cheese which is the signature taste of any pizza made in an authentic pizza oven. The entire oven is made up of high-grade steel which means that it can withstand really high temperatures and the entire oven is insulated really well and much better than most of the wood-fired ovens. Honestly, I did not personally go and touch the surface because I did not want to take any chances but since the company has focused its efforts on improvements with their new pizza oven, you can actually expect it to be better than the previous one. The oven definitely heats up really fast as the materials inside are well built giving the oven a very good heat retention and you can cook your pizzas really quick. The total cooking area that you get inside the oven is 1000 sq inches which is amazing as you can cook more than one pizza at a time. Since it is a wood-fired pizza oven, the fuel which is wood, in this case, would be burning in the corner of the oven and you would be cooking food by the side. The oven has a two-layer insulation which is the reason that it has a really good heat retention and allows you to cook for a group of people really fast and easy. 1. The oven got heated up real quick and believe it or not, it was amazing how the oven was retaining heat in comparison to most of the other countertop pizza ovens. 2. You can easily cook anything inside this oven which can be loaves of bread, meats, pizzas and even desserts. This oven can handle it all. 3. The pizza oven is a wood-fired pizza oven might need to be prepared initially by burning wood in the oven but it doesn’t take much time. Once you are done with burning a batch of wood inside, you can get started with cooking with the next one. 4. The oven is really easy to use once you get the hang of it and there is not much installing that needs to be done. The oven comes ready made and all you have to do it set it up in your backyard. 5. The oven is spacious and you can easily cook more than one pizza at a time, so if you are planning to host a party with this pizza oven then you can definitely do that easily. 6. It gives a really nice taste to the pizza which is the wood-fired flavor. This oven is the best when it comes to making authentic pizzas and if you are a pizza lover then you will love this pizza oven. 1. Apart from the size I technically see no major cons for this oven. You might have some problem moving the oven and it might take some help. Once you are done setting it up, you can cook amazing pizzas and other dishes in this oven. It is worth the effort. Probably one of the best-built pizza ovens that we have reviewed and this one oven is enough for all your backyard cooking needs. You can just cook anything inside this oven and we are yet to discover more dishes that we can make in this beast. You can even host a pizza party as this oven is pretty huge and you can cook a pizza in just a few minutes depending on the thickness of the crust. The oven looks amazing and it is worth investing in this if you are looking for something on the really professional level for making pizzas. Considering the cost of the oven just be sure that you are actually going to use it as it is an investment. Once you like the features and want it for your backyard then make sure to check it out on Amazon and let us know what you think about the oven in the comments section below!